You are at:Home»Immigration Issues»Society»TPS for Illegal Aliens? 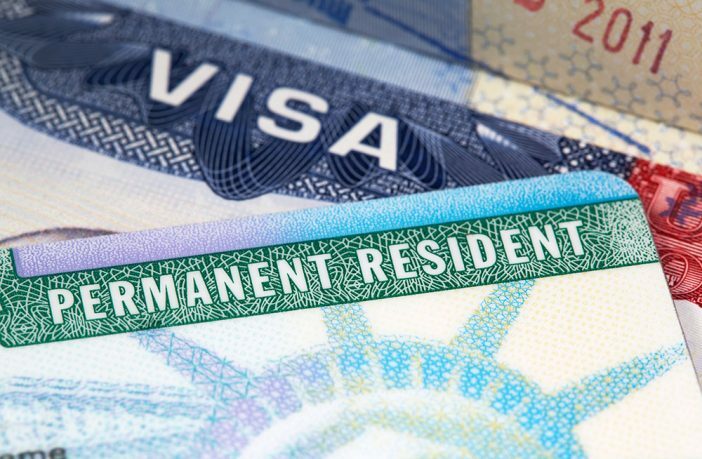 The announcement that Temporary Protected Status (TPS) for Salvadorans is being terminated provokes the hope that this practice of temporary amnesty will cease to be abused with extension after extension until it becomes virtually a permanent status. However, the announcement is marred by the statement that the termination is being accompanied with a delay designed to give Congress time to adopt a permanent amnesty for the Salvadorans who have been in TPS status for 17 years. That is a worrisome prospect. Our immigration history shows that each amnesty tends to weaken the ability of the immigration law to deter illegal immigration. Congress needs to avoid another amnesty both for the so called “dreamers” as well as for former TPS beneficiaries. But, there is a change that Congress could make that would be worthwhile. Most of the about 200,000 Salvadoran TPS beneficiaries were living in the United States illegally when hurricanes hit El Salvador in 2001. Thus, they had no intent of returning to El Salvador as soon as conditions allowed, and giving them legal work status was inappropriate. And they still are unlikely to obey the law and leave the country. To correct this abuse of the TPS status, Congress, could change the law to specify that only two cases of foreigners may benefit from TPS. The first case would be nationals of countries with natural disasters or civil disturbances who are legally in the United States as nonimmigrants. TPS was designed for those visitors and students. The second case would be nationals of those same countries who are illegally in the country and are subject to a deportation order. This latter class would be subject to expedited deportation as soon as conditions in the home country allowed. Their residence information required to file for TPS protection would allow immigration agents to take them into custody for their deportation when TPS ended. Cut taxes, cut spending, stop spending billions of dollars a year, on people in this country Illegally. It is unconstitutional for our Senators and Congressman to ask the fifty percent that actually pay taxes to be burdened by this expense. It is unsustainable and unrealistic. We cannot keep flooding this country with people who need a hand out. No DACA, no DACA Amnesty, no amnesty at all. No chain migration, no Diversity Lottery, no birth citizenship, no imported Terrorism, stop the invasion of our country before we end up like Europe. Immigration laws are to benefit our country and its legal citizens, and what is going on now is not! Build a wall, hire more border security with real weapons, we need to get serious about this folks or we won’t have a country. Deport people in this country illegally, put terrorists in GITMO not in our jails so they can recruit more terrorists. Start fining people for hiring illegals, start giving jail time to people who enable and support the invasion of our country. Save a border patrolmen’s life Build the wall. Stop voting Democrat! So, I guess everything in America has reached the point that our lawmakers, especially democrats, want as many foreigners as possible in our country as long as they vote democrat. The demo want them for votes & the republicans want for cheap labor and none of them care a whit about what this is doing to America. Already, our citizenship has little meaning or value and I expect it will not be many more years before the illegals here are voting in mass. I am glad that I am 80 years old and will not see the destruction of my America. But, when this land ends up a third world cesspit subsidiary of Mexico & the drug cartels with the muslims trying to kill everybody else, I do hope there are some of today’s leftist folks still around trying to survive amidst the poverty and violence & I sincerely hope they have a really tough time of it and reap what they have sown.